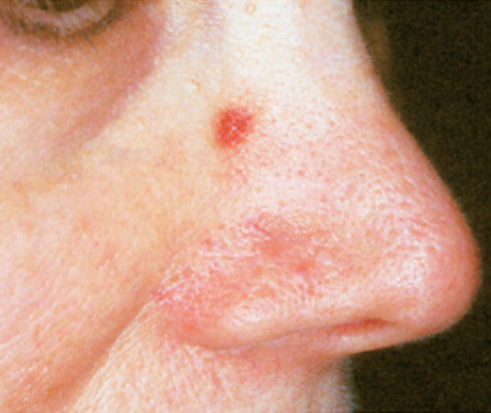 Rosacea and sun damage are the main causes for redness in the skin. Tiny dilated blood vessels at the surface of the skin create red lines, blotches and bumps usually in the areas of the nose, cheeks, chin, forehead and the V of the chest. Skin redness, especially on the face, can make people feel self-conscious. Advancements in vascular lasers can reduce redness in the skin, as well as giving smoother, clearer more youthful looking skin. What can contribute to Redness in the skin? A spider nevus is a small broken blood vessel that can be treated with laser therapy. A spider nevus tends to occur more commonly in childhood and also in pregnancy but can be seen in almost anyone. They are not painful but can be of cosmetic concern, particularly when they occur on the face. 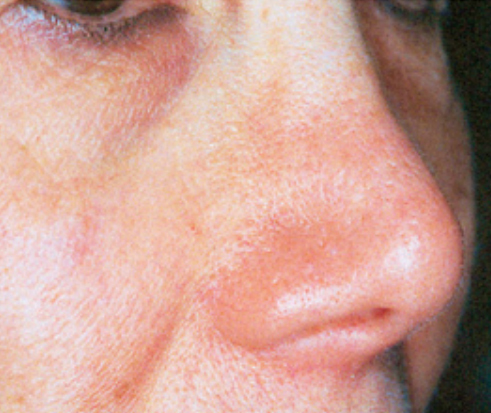 Treatment of this lesion is effective with a V-Beam Pulsed Dye Vascular Laser which is available at Northern Sydney Dermatology. Images Courtesy of Dr Thomas Rohrer.